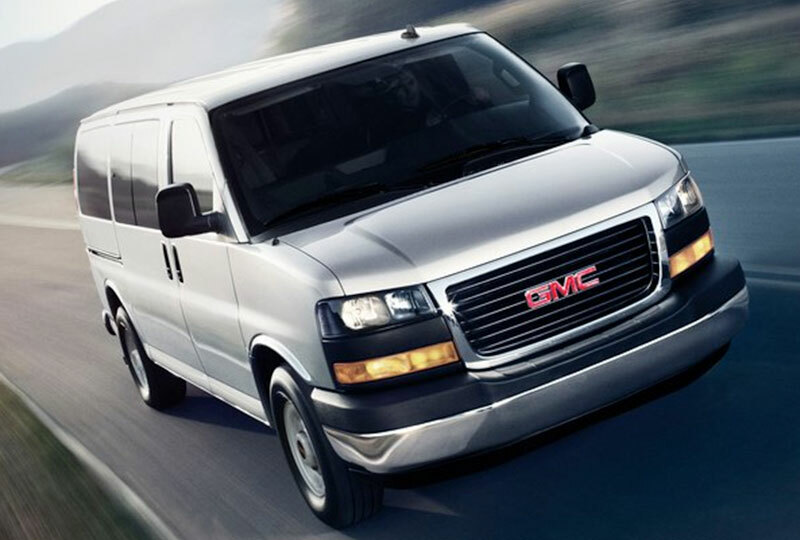 The 2019 GMC Savana Passenger Van from Joyce Koons Buick GMC in Manassas, VA, serving Fairfax, Chantilly, and Sterling, provides a comfortable experience for every passenger on board. Get the power and capability you need to succeed on the go with a new Savana Passenger Van. There are two available seating arrangements that can accommodate from 12 to 15 passengers, depending on your needs. Each van can also be upgraded with available wheelchair-friendly equipment to ensure each guest on your list is fully accommodated. Power through your daily routes with the standard 4.3L V6 engine that delivers 276 horsepower and 298 lb.-ft. of torque. 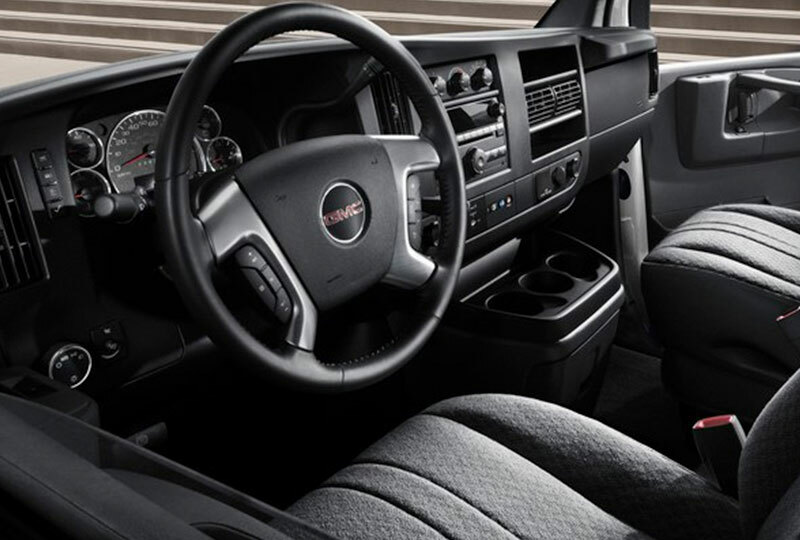 Thanks to an available GMC infotainment system, you can serenade the cabin with relaxing tunes during the drive. Park at the perfect location in town for a curbside drop off using the rear vision camera that shows a live feed from behind your vehicle. When you’ve closed the passenger doors, you can head towards your next location for a pickup. 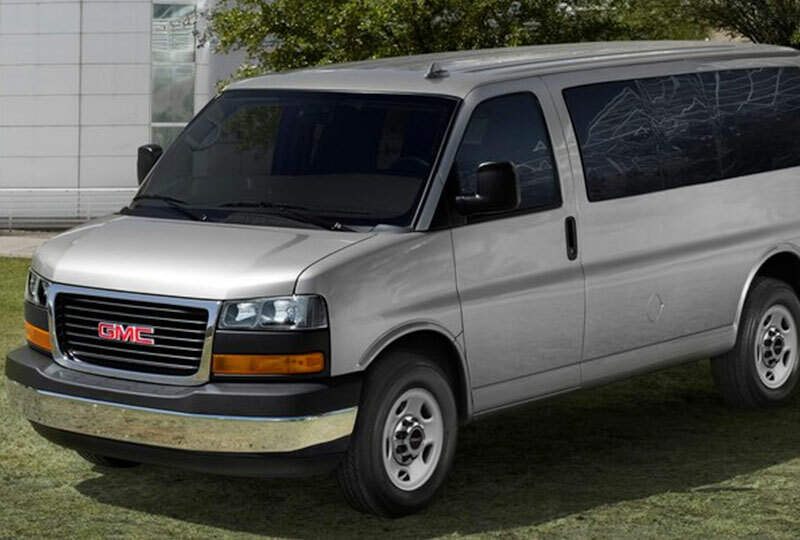 Today is a great day to buy a new 2019 GMC Savana Passenger Van! Our 2019 inventory is here and new auto loans are at their lowest rates in years. Visit Joyce Koons Buick GMC at 10660 Automotive Drive in Manassas, VA. Drive home the 2019 GMC Savana Passenger Van you’ve always wanted! 1. Shown with equipment from an independent supplier and is not covered by the GM New-Vehicle Limited Warranty. GM is not responsible for the independent supplier alterations. †Visit onstar.com for vehicle availability, details and system limitations. Services and connectivity vary by model, conditions and location. Requires active service and data plan. Data plans provided by AT&T. 2. Vehicle must be on or in accessory mode.